A recently published study conducted through the New York Veterans Affairs Medical Center in Albany, looked at the association between Friedreich’s Ataxia (FA) and cardiomyopathy. 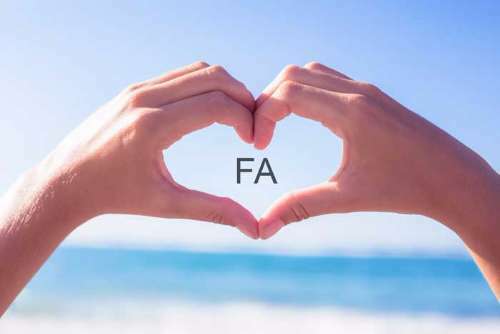 While FA is known as a neurological disease, the most common cause of death in FA patients is cardiomyopathy. By definition, cardiomyopathy is a disease in which the myocardium becomes weakened or stretched resulting in decreased ability to pump blood to the rest of the body. As this progresses, arrhythmias and heart failure may result. The study focused on 28 autopsy heart tissue samples from patients with FA. Additionally, 10 tissue samples were taken from healthy controls. Multiple measurements were made including X-ray fluorescence (XRF) of iron and zinc within the ventricle walls and interventricular septum, tissue frataxin, iron histochemistry, inductively-coupled plasma optical emission spectrometry (ICP-OES), and immunofluorescence of inflammatory markers hepcidin and CD68. Prior studies have focused on abnormalities related to left ventricular hypertrophy, dysfunction, and electrical abnormalities. The tissue samples from hearts from FA patients showed evidence of hypertrophy and thickened walls. Muscle cells, known as cardiomyocytes were identified to be considerably larger in the control hearts. Additionally, the cardiomyocytes were surrounded by a layer of endomysium (fibrous connective tissue). Further analysis of the tissue samples revealed a significant reduction in cardiac frataxin levels and higher levels of iron within the left ventricular wall and septum in FA patients. Furthermore, an abnormal number of CD68 reactive inflammatory cells was found in the hearts of FA patients. Cytosolic ferritin sequesters and stores iron to protect against free radical damage while hepcidin is a protein that plays a major role in iron regulation. Both of these markers were elevated in FA. The results of this study point have lead the researchers to believe that a strong iron expression seen in the cardiomyocytes might be a unique finding for cardiomyopathy in FA hearts. Since frataxin levels were low, the restoration of this mitochondrial protein and targeted anti-inflammatory therapy may be beneficial for those with FA. Koeppen AH, Ramirez RL, Becker AB, Bjork ST et al. The Pathogenesis of Cardiomyopathy in Friedreich Ataxia. PloS One. 2015 Mar 4;10(3). Alboliras ET, Shub C, Gomez MR, Edwards WD. Spectrum of Cardiac Involvement in Friedreich’s Ataxia: Clinical electrocardiographic and echocardiographic observations. American Journal of Cardiology. 1986 Sept 58(6): 518-524.